Property Styling and Consulting. Preparing your home for sale using your furniture, I can help you 'Joosh' your home using art work, bedroom and bathroom linen, rugs, cushions and decorative pieces. I can give you ideas to prepare your home or I can do it for you. Are you looking at up styling your home or redesigning aspects of your home? And not sure where to start. I can help you every step of the way. 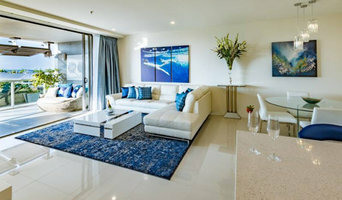 Led by Selena Murphy, a highly sought-after interior designer in Cairns for more than 18 years, Azure Style Collections is one of the top interior design companies in Tropical North Queensland. Whether it’s decorating an entire house or single room, renovating a property, styling a home for sale, fitting out a resort or simply refreshing a room with exciting new furnishings, the specialists at Azure Style Collections closely work with clients to create beautiful, authentic and unique interiors that reflect their individual personalities and lifestyles. Azure also works closely with top architects, builders, cabinet makers, landscape architects, painters and wallpaper hangers, and their team of hand-picked tradesmen and artisans make it easy for clients from Cairns, Port Douglas, the Tablelands and south to Cardwell achieve their desired outcome, completed by professionals on time and on budget. While Azure’s design talent, industry contacts and reputation for achieving dream designs for clients stand them above other designers, it’s their creative flair, enthusiastic energy, hands-on approach and honesty that makes them stand out from the others. In today’s competitive real estate market, your home needs to be buyer ready and you only have one chance to captivate a prospective buyer – not only in print, but most importantly online and in person. Staging your home will give your house that ‘WOW’ factor you are looking for. At Posh Home Staging & Styling we are passionate about what we do and take pride in our work and strive to deliver the best results for our customers. Our comprehensive range of quality furniture, exciting homewares and beautiful accessories enable us to dress your home to reveal its full potential. When creating a staging plan we take into account the style of your property – from a traditional Queenslander, rainforest beauty, contemporary house or apartment we will create an ambience and lifestyle that buyers will find irresistible. 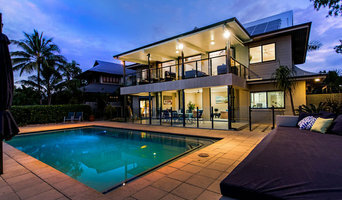 The Home Stylist or Stager works to prepare your Cairns, Queensland home for the Queensland real estate market. Find a home stylist or stager on Houzz. 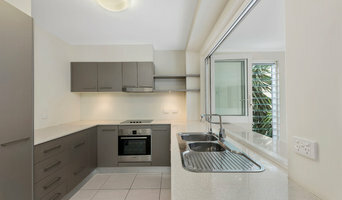 Narrow your search in the Professionals section of the website to Cairns, Queensland home stylists. You can also look through Cairns, Queensland photos by style to find a room you like, then contact the professional who styled it.